Ground floor: Distributor-living room-kitchen, laundry and garage, and three bedrooms, and 1 full bathroom, with Jacuzzi. The living room with a 5m high skylight. First floor: Distributor with study and living room, 1 master bedroom with full bathroom, with jacuzzi, built-in suite, and 1 bedroom with full bathroom suite type. All rooms and bedrooms with sea views, and the area next to the Mediterranean Sea, with access to the beach from the same plot. In the outdoor area, terraced by the back, which overlooks the Mar Menor, In front a pool with jacuzzi 4m wide by 8.90m long, plus outdoor shower, surrounded by wooden platform. NEW BUILD LUXURY FRONTLINE VILLA – LA MANGA, We offer this Luxury Frontline Detached Villa with stunning and unspoilt sea views, located in La Manga, Murcia. 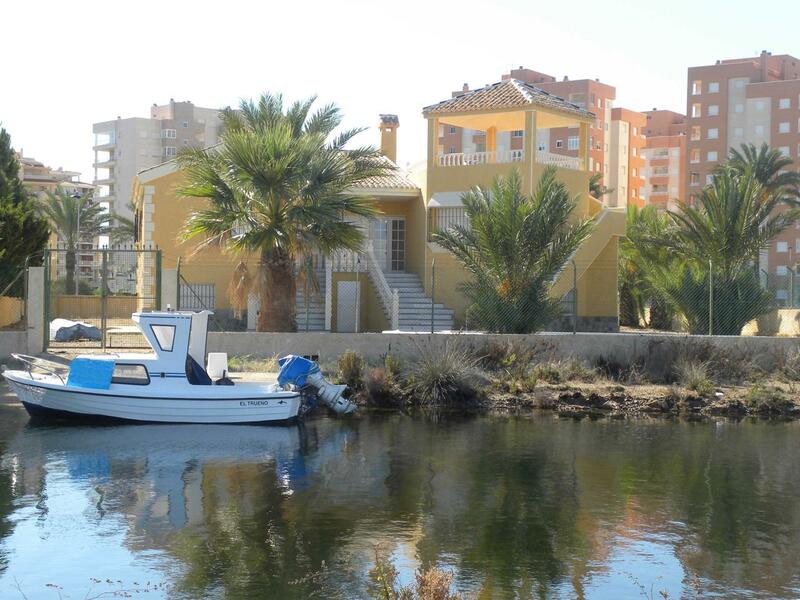 Luxury property located between the Mar Menor and the Mediterranean Sea, in the peninsula of La Manga (Murcia).